From the labyrinthine paths and serene squares of the Gothic Quarter to the stunning art nouveau architecture of the Eixample, Barcelona is a place of irresistible charm. 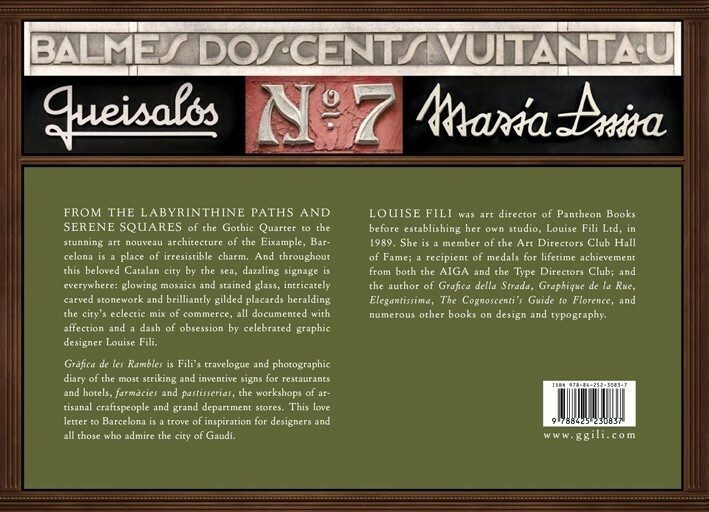 And throughout this beloved Catalan city by the sea, dazzling signage is everywhere: glowing mosaics and stained glass, intricately carved stonework and brilliantly gilded placards heralding the city’s eclectic mix of commerce, all documented with affection and a dash of obsession by celebrated graphic designer Louise Fili. 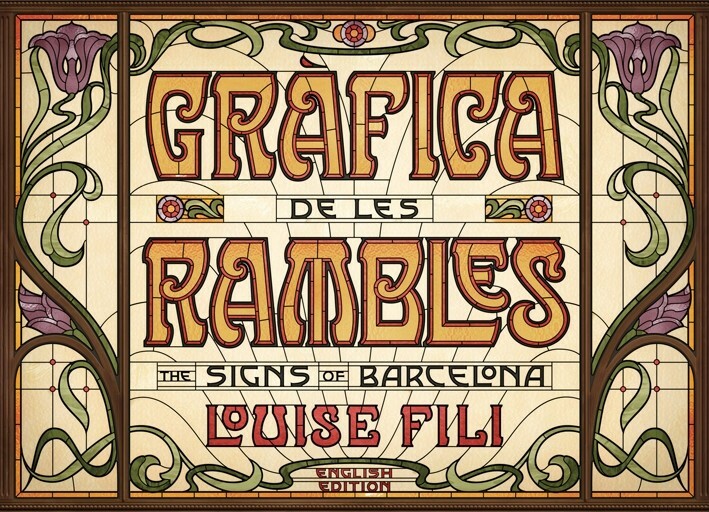 Gràfica de les Rambles is Fili’s travelogue and photographic diary of the most striking and inventive signs for restaurants and hotels, farmàcies and pastisserias, the workshops of artisanal craftspeople and grand department stores. This love letter to Barcelona is a trove of inspiration for designers and all those who admire the city of Gaudí.